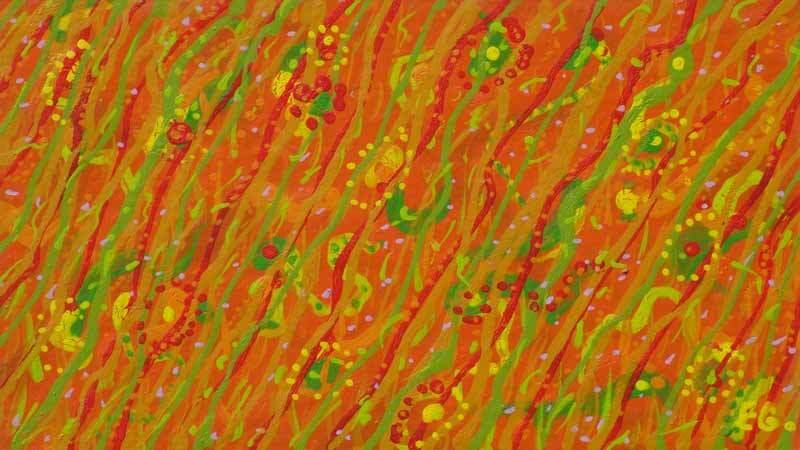 An abstract contemporary painting, a study in reds, yellows, greens and oranges on an orange background. the harmonizing and contrasting colours create a striking image. This original contemporary artwork is so colourful and decorative, despite its miniature size.